The VR headset field is about to get a little bit more crowded. Oculus Quest just had a new challenger enter the arena. And Shadow VR is not joking around. As many analysts have pointed out, in order to truly reach the next level, virtual reality headsets need to become wireless and function as a standalone unit. Bulky cables and being tied down to a physical space not only limits the applications of VR but also the audience. Removing these physical barriers is the first step towards helping VR become more mainstream. That probably needs to happen sooner rather than later, especially given how VR so often is the target of detractors and naysayers. Coming from Chinese manufacturer Shadow Creator, the Shadow VR sees itself as very much a part of this process of bringing virtual reality gaming into the mainstream. A Vive-wave headset, the Shadow VR will also come with its own controllers made by Shadow. These controllers beat the Oculus Go’s similar controllers to market by some sixth months and are 6DoF controllers. Using a Qualcomm Snapdragon 835, the Shadow VR is capable of resolutions of 2560×1440 and a 110-degree field of view. This resolution is equivalent to the Oculus Go and Lenovo Mirage Solo. That’s probably more than enough power for what the Shadow VR aspires to do. Running HTC’s Viveport, the Shadow VR should have access to all of the apps available for that platform. Depending on who you talk to about it, that’s a pretty solid connection on its own. Probably the most notable thing about the Shadow VR is how it has raced to market and beaten the upcoming Oculus Go scheduled for release in 2019. With eerily comparable features, the Go is slightly more powerful. But that’s to be expected given its position in the market. But that doesn’t take the Shadow VR out of the running and, indeed, positions it as a worthy competitor. The only issue with that is that the company isn’t doing consumers any favors on the price. If you were expecting a price discount, you’re out of luck. The Shadow VR, like the Oculus Go, will sell for a price of $399. That doesn’t seem like the most tactically sound idea, especially when you’re offering tech that’s a little lower end than your competitor. Still, the differences are really slim and bordering on trivial but can become larger in the glaring light of how much each product costs. 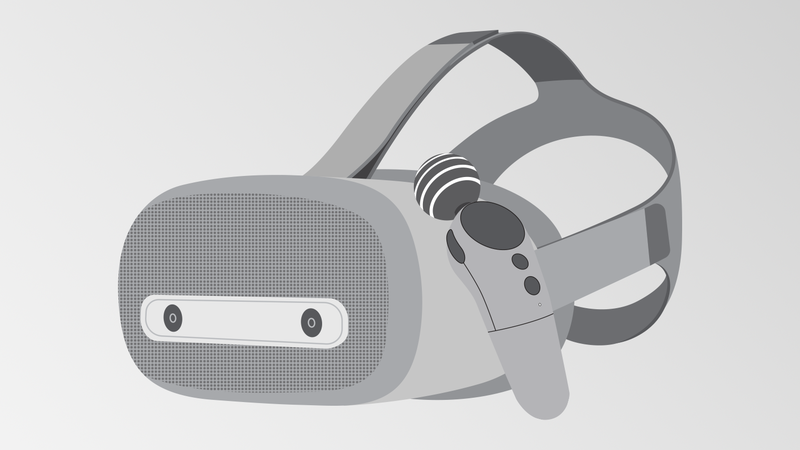 Major differences include the improved resolution on the Oculus Go’s screen as well as its use of OLED technology. The Shadow VR does not allow for IPD adjustment while the Oculus Go does. Another difference that is to be expected is that the Oculus Go will have access to the Oculus mobile app store instead of the Viveport offered by HTC. It’ll be interesting to see how much Shadow VR shakes up the standalone market. One thing is certain: The future is here.